Mike took an interesting approach to increasing dust collection at the bandsaw. He made an entirely new table for his machine. Is there anything that this table cannot do? 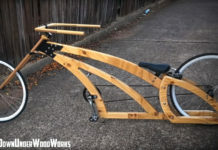 The precision of CNC but with human-powered movement? The clamping table is also excellent. Great engineering in this one. Do you have a set of stairs in your home or shop? Don’t let the space below go to waste! You could argue that the most common weakness to table saws is the stock fence system. Luckily there are a lot of upgrade options. The simple t-square style fence design is simple, accurate, bulletproof and can be added to just about any table saw. 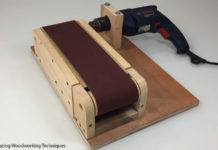 This is probably the best homemade version of a domino style machine I’ve seen. And the dust collection implementation is very clever. Machinist work is quite interesting to me. We all know that metal can take out chunks of wood with ease but seeing large machines and large tooling take large passes on metal is a bit satisfying. The precision that can be achieved is also quite impressive. 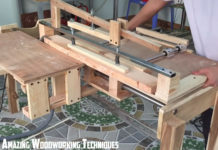 Steve makes a folding table for his CNC machine in this video but the design is one that can be made for multiple uses. Short on space in your shop? Maybe a fold up assembly table is right for you. You know how you watch one random video on YouTube and your recommended videos get flooded with content you normally wouldn’t see? I watched one puzzle video and ended up going down the YouTube rabbit hole for a couple of hours watching dozens of difficult puzzles being solved. I really liked this one and the way Chris talks his way through it. Thanks for including my fold up work table Jay! We still use it for the cnc at our woodworking club. They added casters to the main base and extended the front legs to make up for the height difference, so now it folds up AND rolls around. Always enjoy watching your featured videos on Saturdays. Thanks for the project update, Steve! That lotus puzzle drove me to smoke a whole pack of smokes. I don’t even smoke. Thanks Jay for these vids. The Lotus Flower puzzle was left field. 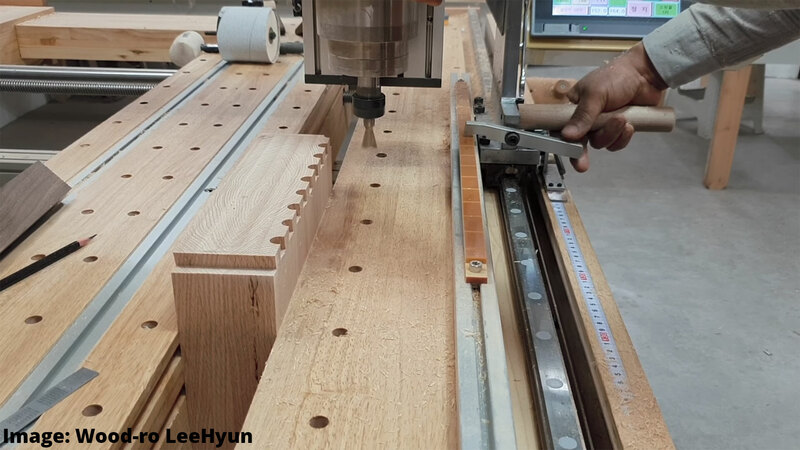 The CNC was superb piece of thinking – the bench looked great as well.